What makes for an appropriate sacred space? A log church on the frontier or a Gothic Cathedral? Could it be a nondescript auditorium sans any religious imagery? In other words, is space important to worship, and if so do different forms appeal to different people? As churches face decline and demographic shift few churches (religious buildings in general) are being built. More often they are being refurbished and redesigned. Some buildings seem to transcend time, others seem not to. The cathedrals of England continue to inspire, while some modern churches built in the 50s through 70s have not aged very well (those orange carpets and windowless walls seem to be lacking something). In this piece Martin Marty points us to the current conversation and has some sites worth visiting to see some interesting designs. Take a read and offer your responses. We have just remembered Pearl Harbor, pondered protest-worthy crises of the moment and, with an eye to international affairs, expressed reason to fear for the future. 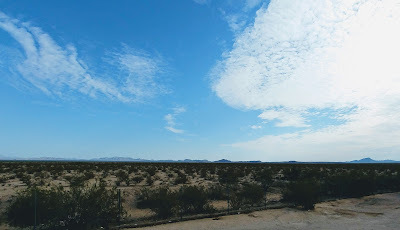 But it is also proper to keep broad perspectives, and to do our sightings in somewhat quieter areas of public life, where headlines don’t scream. With this in mind, we paid attention to a middle-sized story by Ben Leubsdorf in Friday’s Wall Street Journal: “Decline in Church-Building.” We had all noticed this, but Leubsdorf helps place the trend into context. He cites facts from building trade statisticians. Spending for construction or remodeling “churches” (=buildings for religious purposes, including mosques and synagogues) has dropped significantly from the highest construction peak, in 2002. Our casual scanning of horizons for evidences of “public religion” or “religion in public” usually begins with the visual, which means that towers and facades represent a physical side of spiritual responses and endeavors. Thus, we inherited “tall steeples” from the peopling of the frontiers and, after the Civil War, during the shift from the search for land to people who moved to build and find shelter in the cityscape. We inherited A-frame buildings and their kin from the 1950s, when architects, building committees and bishops quickly invested in sanctuaries during the boom. The cityscape and trends in it have changed greatly in recent years. As for the suburbs and other growth areas? Awarding juries saw fewer submissions of “big box” church plans, and some question whether the mega-church model of large “auditorium” churches has passed it peak. So what goes on? Expanding African-American, Hispanic-American, and other “-American” congregations have not always had to build the new. They inherited and remodeled existing structures, many of them run-down, but ripe for impressive re-doing. The most valuable periodical in the field, Faith and Form, in a recent article (see below) reports on how many architectural awards go to creative remodelings, often of impressive beauty. Why start from scratch when it is more economical to go the re-creation route? We are reminded that ancient Israel found tents and tabernacles valid as its worshippers built at least one luxurious temple for the ages, that early Christians worshiped in homes before they built cathedrals, that caves and huts have served and do serve many believers effectively, while many grossly luxurious edifices have become cold monuments. Worship leaders know that they have more precedents than those they inherit from, say, old Europe and old suburbs, and have to think fresh thoughts for tomorrow’s buildings. Religious leaders today also know that cheapish, tawdry, uninspiring and non-inspiring functional gathering places cannot represent all that the faiths seek to express, namely, the soulful and the beautiful. Here’s to Faith and Form and the artists and architects it presents as they do and re-do houses of worship. In an age of religious change, pluralism, diversity, and innovation, the quest is on for ways to address the eye and the soul in celebration of the beauty of holiness. Leubsdorf, Ben. “Decline in Church-Building Reflects Changed Tastes and Times: Megachurches Fall Out of Favor and Donation Habits Shift, Worshipping in a Former Shoe Factory.” Wall Street Journal, December 4, 2014, U.S. News. http://online.wsj.com/articles/decline-in-church-building-reflects-changed-tastes-and-times-1417714642. “2013 Faith & Form/IFRAA Awards winners revive and modernize religious architecture and art.” Bustler: Los Angeles Institute of Architecture and Design, January 9, 2014. http://www.bustler.net/index.php/article/2013_faith_form_ifraa_award_winners. Crosbie, Michael. “2013 International Awards Program for Religious Art & Architecture.” Faith and Form: The Interfaith Journal of Religion, Art and Architecture 46:4 (2014). http://faithandform.com/feature/2013-international-awards-program-for-religious-art-architecture/. 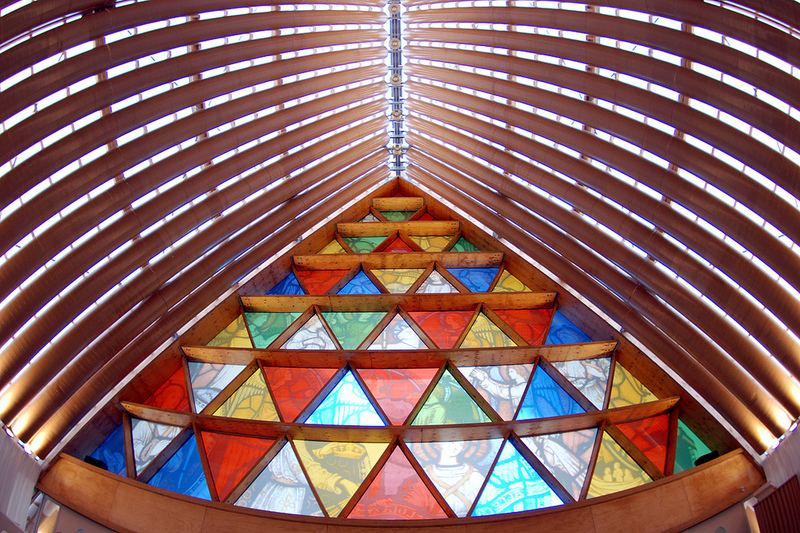 Image: Cardboard Cathedral, Christchurch, New Zealand; Geof Wilson / flickr. To read previous issues of Sightings, visit http://divinity.uchicago.edu/sightings-archive. To comment, email the Editor, Myriam Renaud, at DivSightings@gmail.com. Copyright © 2014 UChicago Divinity School, All rights reserved.